So here we are in 2017. And as usual, we did a quick analysis to find out which were the most popular posts on the Upside Learning Blog in 2016. Here are the top ten, listed in countdown style, just in case you missed or would like to revisit any of them. 10. Flash Is Now HTML: A Big Thing For eLearning Development? Flash Professional was rechristened Animate CC to better reflect its animation capabilities in an HTML5 world. This post covers some of the key features and enhancements of Adobe Animate CC. 9. Snapchat Spectacles – Will it be Useful in eLearning? This post presents a useful overview of Snapchat Spectacles, including a video that explains how they work, some differing reviews, a note about their price, and some thoughts about their potential use in eLearning. 8. Combining Mobile Accessibility and… Winning? This post summarizes Marcy Sutton’s talk about how to “win” at mobile accessibility, with special focus on the considerations and tips that could apply to accessibility in (responsive) eLearning and mLearning design and development. This post shares some thoughts about the future of videos, specifically interactive videos, in eLearning, together with links to some interesting examples. 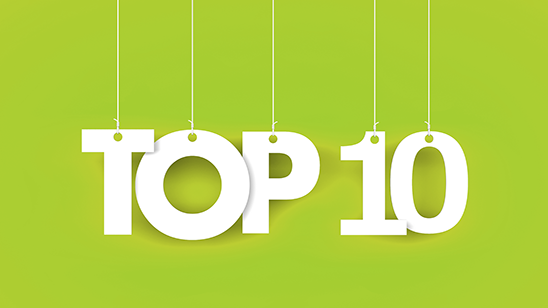 This post highlights our picks for the top 10 eLearning trends and technologies for 2016. 5. eLearning: Offline & Tracking – What Are Your Options? This post takes a look at some options for implementing offline viewing and tracking of learning content, and presents Upside Learning’s custom-built solution. This post lists some articles, blog posts, and talks about design and development techniques and tips, platforms, and technologies that might have potential for use in eLearning or indeed other domains. This post shares some of our findings and observations after using the new Animate CC tool, together with some recommendations. This post provides an overview of Articulate Storyline 360 and evaluates its responsive player, and highlights Articulate 360 – Rise as new responsive authoring tool to explore. This post presents an instructional designer’s reflections about what she learned while exploring the use of interactive videos as effective instructional tools. We also presented a feature-wise comparative summary of these tools, grouped under design considerations that we felt could influence the choice of tool. So there you have it – our top posts in 2016. A big thank you to all our subscribers and readers! Keep in touch with the latest in eLearning by following us on Twitter or subscribing to our blog through RSS. What was your favorite eLearning blog post of 2016? Do you have any topics you’d like to see us cover in 2017? Let us know through your comments.